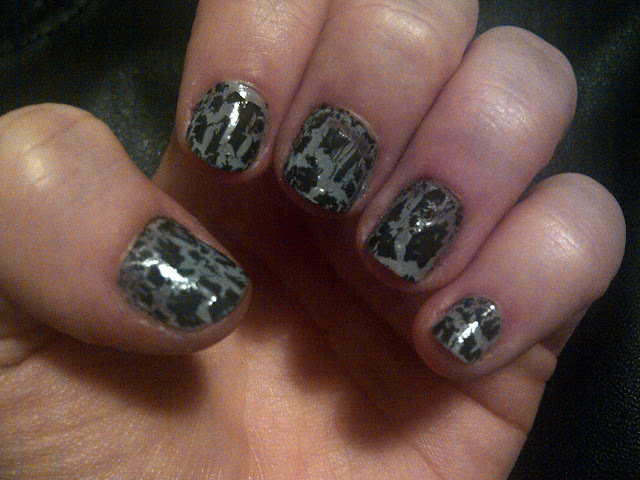 I created this grungy look by layering Barry M's black instant effects crackle nail paint over Rimmel's 60 seconds nail polish in 'grey matter'. I go through love/hate stages with crackle varnish as I'm so used to wanting my nails to look nice and pretty, but I really love the cool effect you get when you paint it over a quite dull colour like this grey. Do a thick coat of crackle varnish if you want to create large gaps between the black chunks like I have or use a thin coat if you want to create smaller gaps and have less of your base colour showing. Always wait an extra long time before painting over your base colour with the crackle varnish as if you don't leave it to dry for long enough the crackle varnish might brush some of the base colour away and leave patches of your actual nail showing. Do you love or hate crackle varnish? What colours do you like to team it with? Have any of you tried the new 'croc effect' varnishes? Now my exams are finally over I'm really enjoying getting back into actual uni again this week and having evenings filled with things that are much more fun than revision :) I've got my friends Matt and Loma coming over for dinner tonight and they're bringing a cake which I'm super excited about, nom nom! 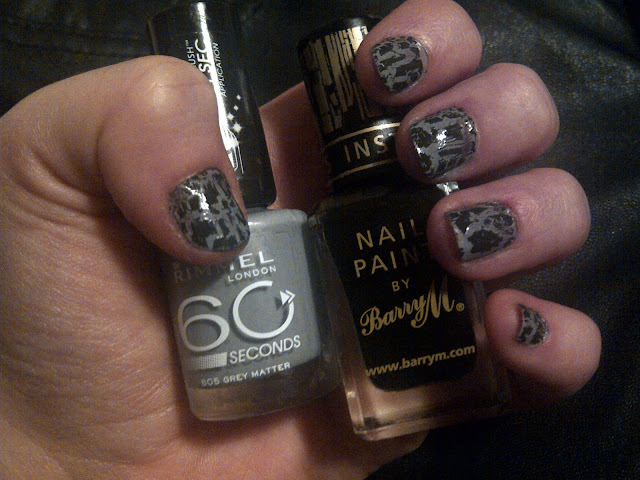 I love crackle polishes but have stop using them lately, think they have been overused by me !! Just bought croc effects about a week ago so will have to try it properly soon (although winter hasn't been kind to my nails!). I really like this nail design.